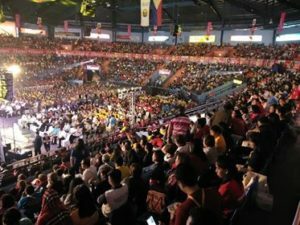 The Philippine Apostolic Congress on Mercy (PACOM 4) wrapped up its three-day run from January 24 to 26 at Filoil Flying V Center, San Juan. 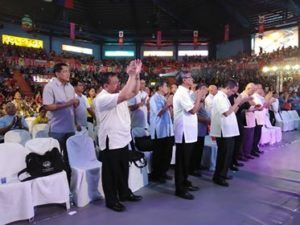 The congress was attended by at least 40 dioceses in the country including Diocese of Cebu, Laoag, Virac, Zamboanga, Naval, Maasin, Pagadian, Palo, Daet, Tuguegarao, Davao, Mati, Surigao, Cagayan de Oro and Puerto Princesa. 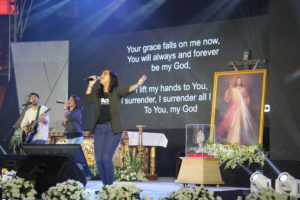 With the theme “Divine Mercy in Communion with the Young,” His Excellency, Bishop Ruperto C. Santos of the Diocese of Balanga and the national spiritual director of Divine Mercy Philippines, appealed to the youth to live meaningful lives centered on Christ during the homily of the opening mass. 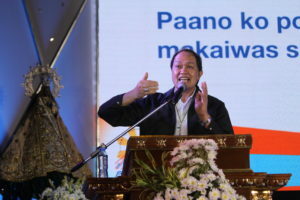 Bishop Santos also urged the youth not to waste their God-given life, not to give in to temptations of fame and easy money, and to denounce illegal drugs and gambling. 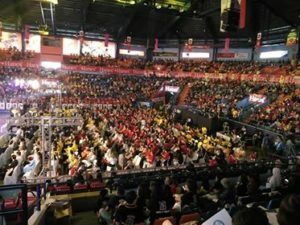 Cardinal Tagle, in a video message, said he was disturbed that there were young people used to violence. He felt ashamed that some children are being sold to prostitution by their own parents and people who they trust, and that society is not safer, kinder, and more loving abode for young people. Nevertheless, he encouraged everyone to let the youth speak for themselves, to the whole church, and to listen to them. However, he clarified that not because one is taking selfie pictures, he or she already has syndrome or disorder. The bishop described narcissist having traits of bullying people with low self-esteem, shamelessness, arrogance, envy, entitlement, and self-centeredness. According to him, the antidote to the toxic “selfie syndrome” is to find another kind of bread which is the word of God. Bishop David reminded the attendees that people cannot see the wounds of their fellow if they only look after themselves, and encouraged them to approach even the poor.